Looking for math ideas for the first weeks of school? 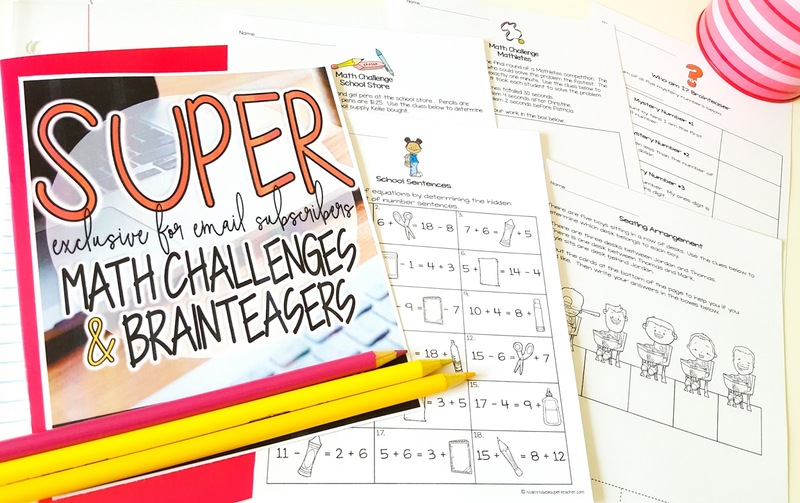 These activities are perfect for kids in 2nd and 3rd grade. Read on for back to school math activities, free printables, and tips for implementing. Whether you go back in August (I’m talking to you Colorado friends) or your summer lasts through September (lucky Michiganders), here are 3 math activities you can use on the first weeks of school (recommended for 2nd-3rd grades). These are my go to Day 1 math activity! I would HIGHLY recommend purchasing a class set if you are able. Show students the book Chasing Vermeer (this mystery book has a pentomino by name chart and hidden pentominoes on the cover) and then see if students can figure out how the pentominoes are named (spoiler alert: it’s by letters of the alphabet). *Is FREE and PRINT & GO so you have to do pretty much zero prep to have it ready. You can download this project for free from my store HERE. There is more detail about this project at my blog post HERE. There are also day by day instructions with the free download. You can get a free math September Math Challenge HERE or can purchase the entire set of 26 of September Math Challenges HERE. Do you have any other MUST DO math activities for the first week of school? Tell me all about them in the comments!